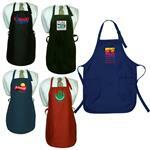 Promotional Aprons are used as corporate holiday gifts, volunteer appreciation aprons, and healthy food choice rewards. 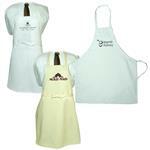 Use our custom aprons and logo aprons at home with your logo during one of the most important times for a family - meal time. 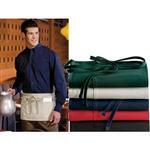 Our aprons come with a screen print or for a more professional look, optional embroidery options are available. 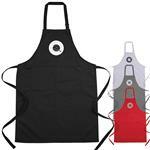 Chef aprons, waist aprons, BBQ aprons are wonderful for accessorizing your restaurant or company outing. 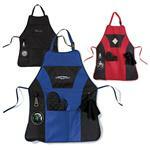 Reach out to see our full line of custom aprons at 888-332-ADCO or email us at sales@adcomarketing.com to discuss with one of our friendly salespeople the embroidered apron options.